A magnitude 5.1 earthquake rocked western Iran on Saturday in the same area as a deadly November quake which left more than 600 people dead. According to Iranian state television, there have been no immediate reports of casualties or damage. The quake struck 21 kilometers from Sarpol-e Zahab in western Iran at a depth of 10 kilometers, according to the USGS. 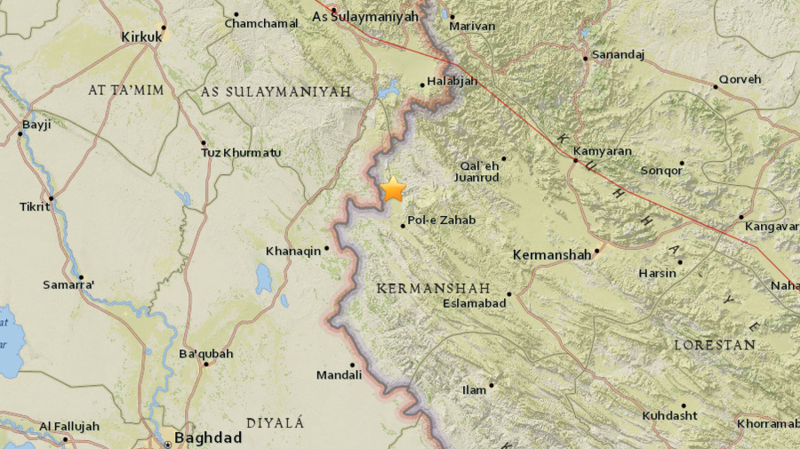 A 4.7 magnitude aftershock was recorded in the area shortly after the quake, according to Iranian news outlet Khabar. The Governor General of the Kermanshah province said there have been no reports of damage from the quake, the Fars news agency reports. On November 13 a powerful magnitude 7.3 quake devastated the northern border region between Iran and Iraq, making it the deadliest quake of 2017.